Summertime equals hyper kiddos in the house who are ready to have some FUN! Have you ever told them about the games you used to play as a kid in the summer when you were off of school? 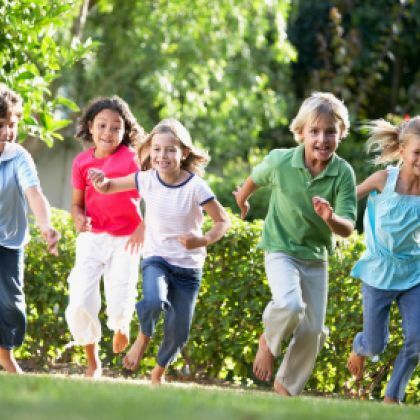 Get the family outside having fun while reliving your childhood with these awesome old-school summer games for kids. They may be surprised by the fun you are able to come up with and you can show off all of your knowledge and look cool with some games that they may never have heard of before! 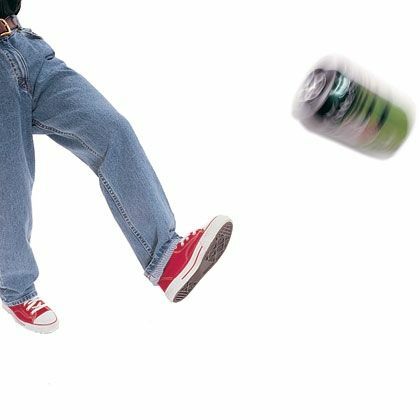 Kick the Can – We found these great instructions at Spoonful.com to help you explain it to the kiddos. This was definitely at the top of my list growing up! And you can’t get much cheaper than using an old can you have around the house to supply endless hours of summer fun! 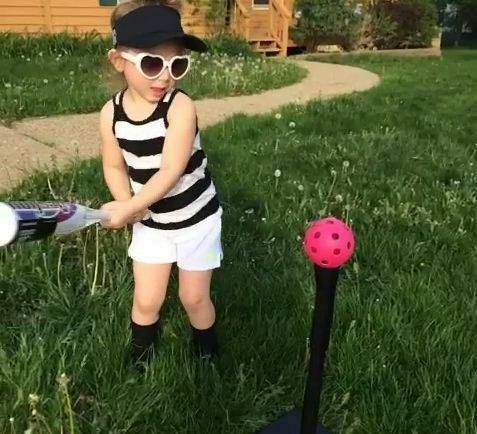 Whiffle Ball – A good old-fashioned game of Whiffle Ball always makes for a great way to tire out the rascals during those long, summer days! Find detailed instructions at Guide-to-Fun-Games.com. You may have to pick up a little equipment for this one, but it’s cheap (think Dollar Tree 😉 ) and will be well worth those fun summer memories! 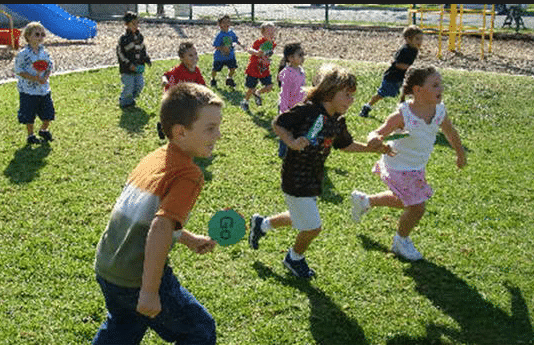 Flashlight Tag – Did you ever play this one as a kid?!?! Oh man… I did! This is a great one to involve the neighborhood in, or invite the cousins over for a fun night in the backyard! Instructions can be found at Grandparents.About.com. All you need are flashlights! Musical Sprinklers – Instructions for this fun game in the water on those hot summer days can be found at Spoonful.com, but if you’re familiar with musical chairs, you’ll get the concept pretty quickly with this game! 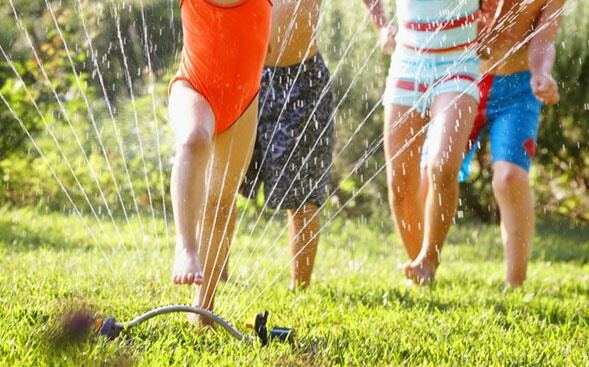 If you don’t have a sprinkler, you’ll have to invest in one, but since many of us have sprinklers (or could probably borrow one from a neighbor) it’s a nice, cheap way to beat the heat! Red Light, Green Light – Ahhhh, that old wonderful classic game! Grab the instructions at TeachPreschool.org and get started with this fun one that the whole family will enjoy. 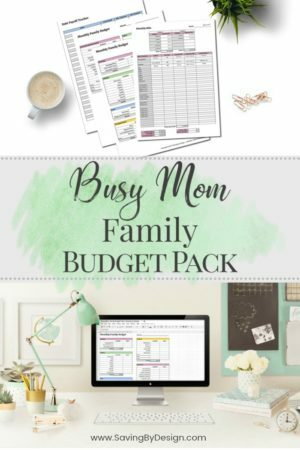 This is a great one to involve the neighborhood families in, too! 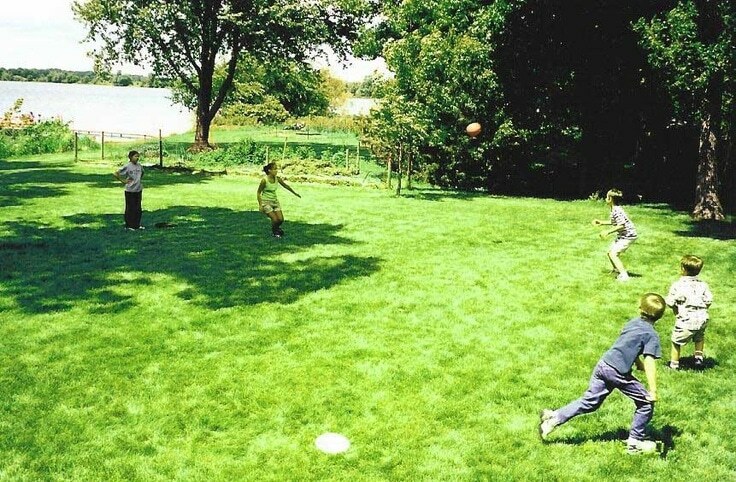 Kick Ball – Seriously… this used to be my FAVORITE summer game (and kind of still is)! Whether it be before school let out for the summer, or in the neighborhood with other families, this was always my #1 go-to! If you’re rusty on these instructions, check them out at Grandparents.About.com. 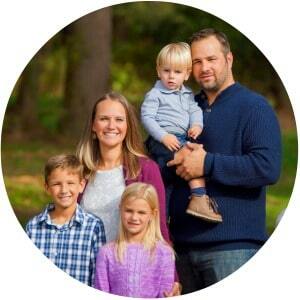 Star-Gazing – You can have SO much fun with this one and your munchkins. Grab some great tips at LieBackLookUp.com and be on your way! 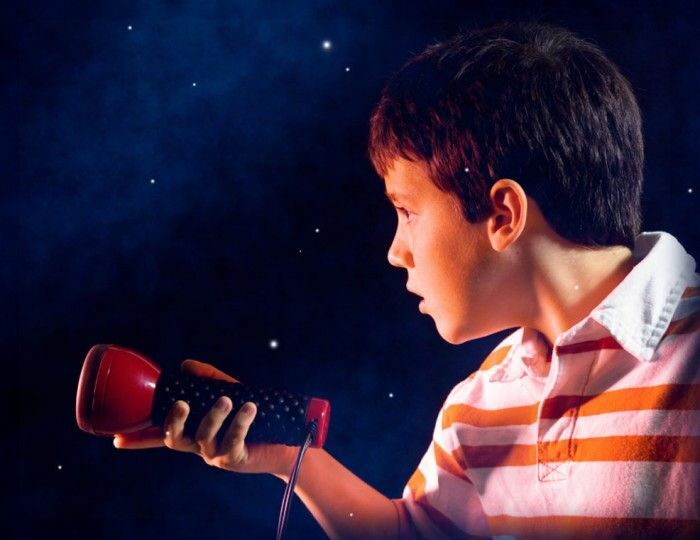 You can make this one as cheap as you want or you can grab some great constellation maps, or even make it into a fun science-themed summer and Build Your Own Telescope over the course of the next few months! 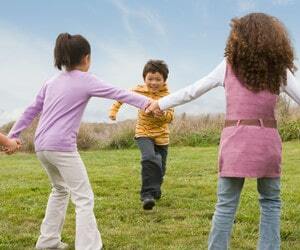 Red Rover – I don’t know about you, but I could NEVER stop Red Rover from coming over when I was a kid! Grrrr…. But it was still a favorite of mine and I’m sure the kids will love getting out their aggressions with this one! Look through the instructions at WikiHow.com and start playing ASAP! 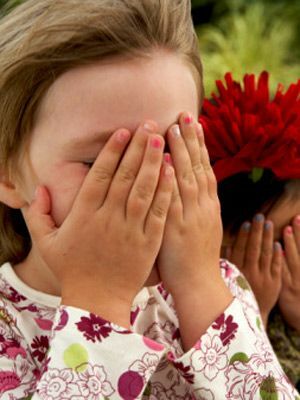 Hide-and-Seek – A fun classic that can be played a number of ways, but overall, it’s always the same thing! All kids seem to love this one! Freeze Tag – Round up the kiddos, check out how to play at eHow.com and get ready for lots of giggles and fun to be had! This will work better with a larger group, but I’m sure you could figure out a fun way to play it parents-vs-kids, too! 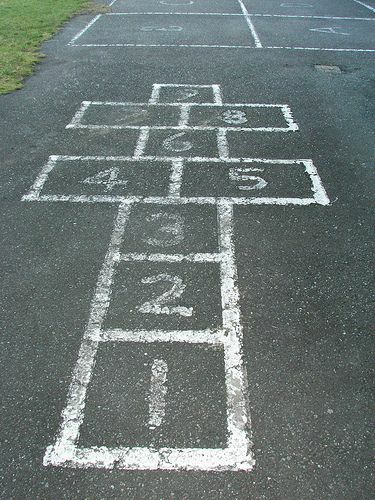 Hop Scotch – This was a favorite of mine as a kid, too! And it’s definitely not just a game for little girls! 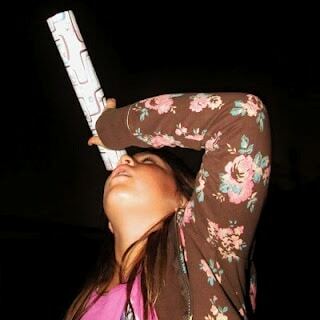 Get that coordination pumping and find the instructions at FunGamesKidsPlay.com. 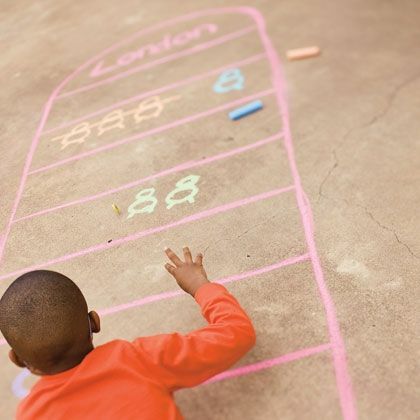 Grab some chalk and the afternoon is waiting to be spent playing Hop Scotch! Miss Mary Mack – OK, so now it’s time to get down to business! This may seem like just a silly girlie clapping game to you, but to me, it is the epitome of childhood friendships and summertime fun! And guess what? It teaches hand-eye coordination and rhythm, too! Find out the fun details behind this game at FunClapping.com. London Calling – Last but not least, this game is a bit of a mix and tons of fun! It’s a great one to play with your little one and be hands-on in the process. Find the directions at Spoonful.com! There you have it! This only scratches the surface but oh man, does it make me excited to get outside with the kiddos and start wearing them out (and myself) with these fun old-school games! They are frugal and they will entertain for hours! Enjoy!